A South African elephant has beaten the odds and given birth to a rare set of twins. Scientists are now trying to help her keep both calves alive. A rare set of twin elephants was born in South Africa in early December. 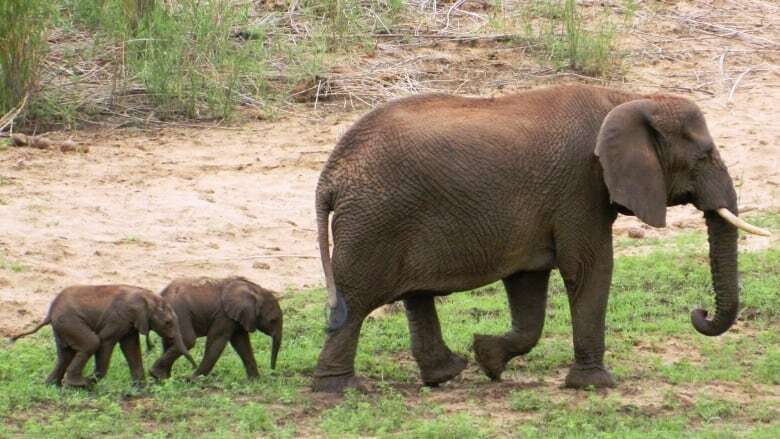 Curve, a 31-year-old female elephant named after the curve of one of her tusks, gave birth at Pongola Game Reserve in Pongola, South Africa, according to a statement from the reserve. The new calves have not yet been named. Research shows elephants are less than one per cent likely to give birth to twins. It's even less likely both calves survive into adulthood. One calf typically dies when the mother cannot provide enough milk for both twins, said Ian Whyte, an elephant specialist. The more dominant calf hoards access to the milk, he explained, and the less dominant calf cannot feed enough to survive. "Curve needs a stress-free environment to beat the odds," he said. Scientists are giving Curve the space she needs to beat the mortality odds, according to the reserve. This means they have been unable to confirm whether the calves are male or female. Curve has previously given birth to three male elephants. Ingani, a 44-year-old elephant that died just more than a year ago, is believed to be the twins' father. Pongola Game Reserve is a privately owned big-four game reserve.